I loved this book! The narration is great. It's all about language and linguistics. You will find out why it's easier to learn a language as a child. How the chimps never really caught on to language like we thought they would. Why it's not really true that you think differently when speaking a different language. All language started as a proto world language and two languages in Africa directly descended from that. Go ahead, you can end a sentence with a preposition. That rule is just made-up! Learn why. This book kept me enthralled form start to finish. Includes some interesting cases of medical language defects and what they tell us. Easy to listen to and understand, and it's fun!!! A very interesting and convincing argument to claim that the human ability to use language must have some basis in a genetic, instinctive 'grammar module' in the brain. Interesting but technical book. Sound is flawed. 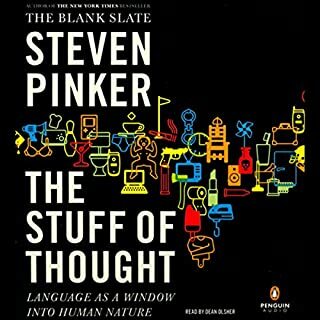 Steven Pinker is an excellent writer and an all-around smart guy. I always learn a lot when I read anything by Steven Pinker. Having said that, though, I have to admit that parts of this book were somewhat dull (such as the detailed analysis of grammar in chapter 4), and parts were a little hard to follow. I feel like I would need to listen to the book a second time to catch all the parts I missed when my wind wandered. But, overall, I think the book is well worth reading. The narrator himself is fine, but the recording is poor. The "s" sounds are very harsh and prominent. I think this problem is called "sibilance". I had to turn the treble way down on my car's sound system, and I still cringed whenever a word had an "s" in it. Would you listen to The Language Instinct again? Why? Would you be willing to try another one of Arthur Morey’s performances? No. He sounds like the automated calls from CVS telling me my prescription is ready. I sped up the replay to make it less boring. I'm not sure if the fault lay with the recording or the narrator, but in any case the audio is very sibilant. The slurred or hissed S's distract from the content, and sometimes have even caused me to go back and relisten to a word in order to make it out. Nonetheless, the content is interesting. This book came out in 1994 and it says a lot about how fast this field is growing that certain parts already feel a little outdated. Fortunately, there is a 2007 update at the end of the book that comments on and catches up with some of the latest developments. That was one of the best parts for me, and I didn't have a clue it would be included. Pinker is at his best relating about the exciting research going on in neurolinguistics. He is less entertaining when he tries to argue his support for a particular ideological position. I don't have an issue with the idea that a 'language instinct' may exist, but I was never quite clear what he meant by the term 'instinct.' Regardless, as an introduction to all the key topics of interest in his field, this is a great book. That is probably a key point. Some books are very narrowly focused and organized to support a key thesis. This is more of a survey-of-the-landscape type book. I suspect Pinker got attached to his title and decided everything had to tie back to that in some way. So the book will meander around from one fascinating topic to the next and suddenly he's harping on instincts again and telling why he believes it's true and why we should care. Apart from that minor complaint, I found this book thoroughly enjoyable. I find modern discussions of linguistics to shed so much light on 'true' grammar and understanding the role words really play in sentence meaning (including his little discussion about whether the word 'of' actually has any meaning or merely marks other words that convey meaning). I especially enjoyed the afterward, not just because of the research updates, but because it showed the author himself had grown over the intervening 13 years and acquired a sense of humor about himself. Language is truly the gift of the gods. 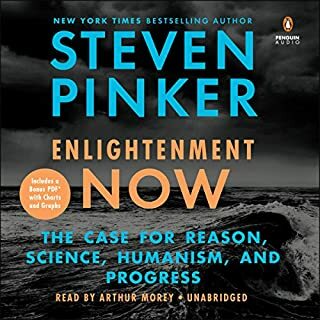 Would you try another book from Steven Pinker and/or Arthur Morey? Yes, he certainly puts his case together well and thoroughly. 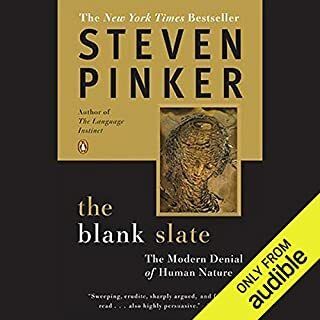 What was most disappointing about Steven Pinker’s story? I didn't have the intellectual ability to understand or remember some of his case. Yes, the narration is excellent to present this kind of study. Did The Language Instinct inspire you to do anything? Yes, try and beat the idea that I will never speak another language like a native. The argument Steven Pinker puts is solid, but I like the challenge to try. I never realised how language is the key indicator to us humans being top of the pecking order or how we all seem to think what is good language, but what really is a never ending changing, developing and growing form of communication. 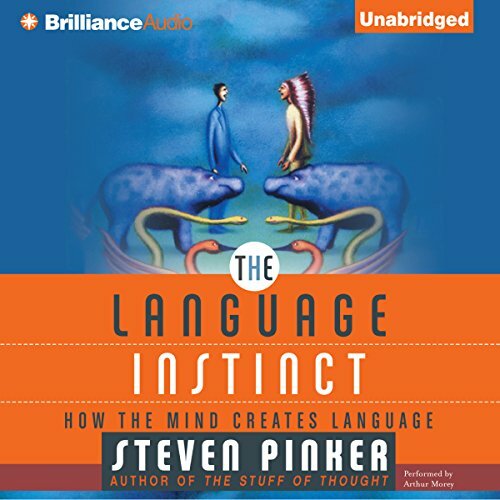 Steven Pinker takes us from concepts to mouthing words, from grammar to history of languages. From the child to the adult and why apes don't talk. It is a good intellectual book to listen to. I enjoyed the book even though I am not at the level in my thinking to fully understand all that was presented. Nicely phrased though. This book was quite a challenge as it got quite technical at times. But I learned a lot about languages and grammar, and how the brain influences each. While I was not convinced that language is an instinct or that there is a grammar gene, there is ample evidence that there is a significant relationship between neuorlogical processes in the brain and grammar and language. When I read other books now, I look more at structure and how authors express ideas, what makes things clear or confusing, and notice the difference between writing in different periods. I would recommend this book to a linguist, but it's way too verbose for easy reading. For each point he pulls out an arsenal of examples. I think that it could have been half as long and twice as powerful. 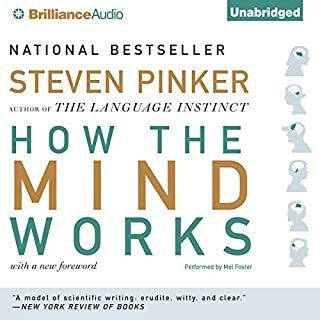 I listened "The Better Angels of our Nature" and LOVED it so naturally I wanted to listen to more of Pinker's books. This one went right over me so fast, my head is still spinning. Dr. Pinker is a Harvard Professor, an expert in many things, and has a talent for explaining things. This book hit the first two descriptions full blast but as far as explaining things? Well, he talked about so many grammar terms I don't think I've ever heard of let alone understood. This book is sentence diagramming on steroids. But hey, he's a Harvard Prof and the closest I've ever been to Cambridge MA is a weekend in Boston. A brilliant book full of learning and erudition. 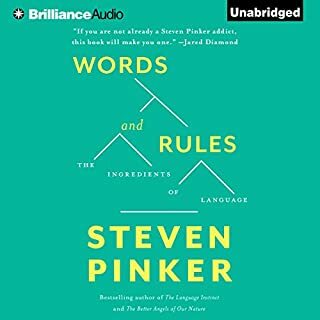 Ad often with Pinker, some sections get a little involved particularly for an audio book but overall a masterful piece of work. First science book I read years ago that fulfilled my hunger for more knowledge about language and set me on a journey of more discovery still sticks up and i will gladly return to it again and again. What did you like most about The Language Instinct? Stephen Pinker. I think his hair is fabulous. I liked his mouth words. The bit about the pixie children is probably the bit that sticks most in my mind. Good book. Read it. (Or listen to it as the case may be). 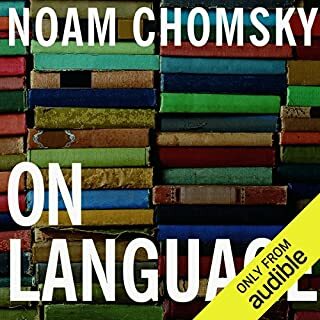 Really interesting subject matter, totally ruined by a monotone robotic voice.i can't listen to this book. Disappointed. this book brings many new perspectives of language. it also explained a lot of things i didn't understand when acquiring English as a second language.